It’s officially springtime: time for bright flavors, pretty colors, and mini desserts. 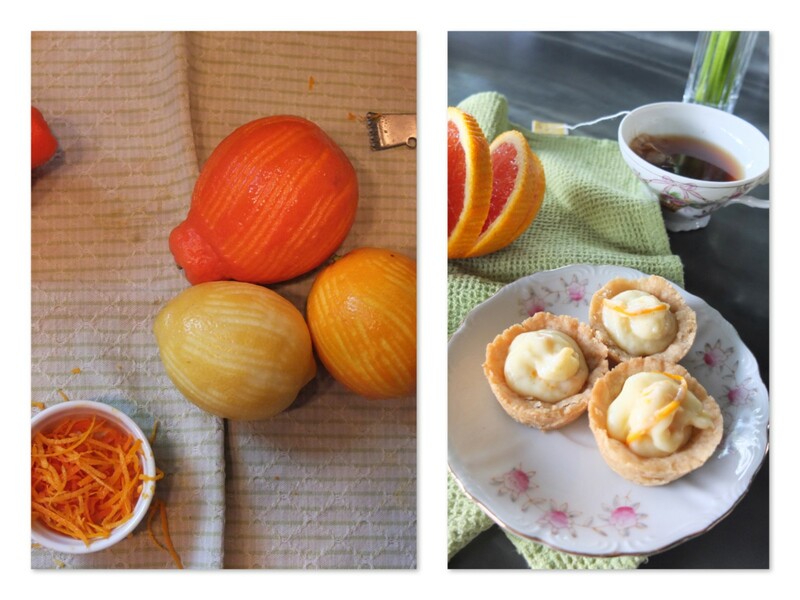 This weekend I got creative and invented these adorable little tartlets. Their buttery shortbread crust is filled with an orange, lemon, and vanilla bean cream. The cookie crust is crumbly and melts in your mouth and the filling is sweet and bright. Perfect little bites of Spring! Shortbread is so wonderfully simple. Just four ingredients (flour, brown sugar, a pinch of salt, and butter) all come together in one bowl just like a pie crust. 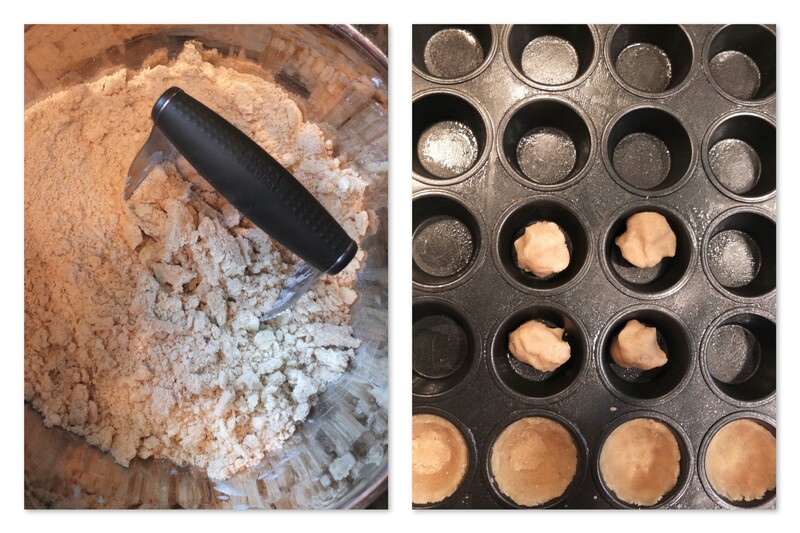 Press the dough into a mini muffin pan and bake, and you have little tart shells. All you need for the filling is one saucepan and a bowl, and a whole lot of citrus zest! Use whatever lemons or oranges you have lying around. Flour, sugar, and salt are whisked together in the saucepan, and cooked on medium heat with the milk and a little lemon juice. The milk mixture thickens and we quickly whisk it into the egg. The mixture then returns to the stove for one more minute and then we add our zest, a touch of butter, and the good, expensive kind of vanilla paste. All in all, it only takes about 5 minutes for the filling to come together! Once everything has cooled, it’s quick and easy to pipe the filling into the little tart shells. The zest peeks out with a nice touch of color. Check out Millard Fillmore (our 13th president) chilling in the top left-hand corner. 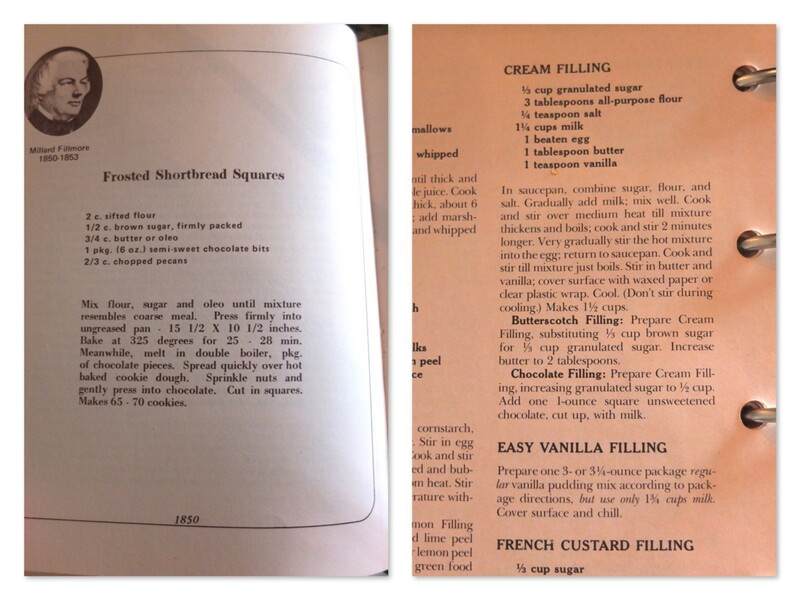 The shortbread crust came from a Frosted Shortbread Square recipe from my American Women’s Bicentennial Cookbook published in 1975, and the filling is adapted from a cake filling out of my Better Homes and Gardens New Cookbook from 1976. Funny how they were only a year apart! 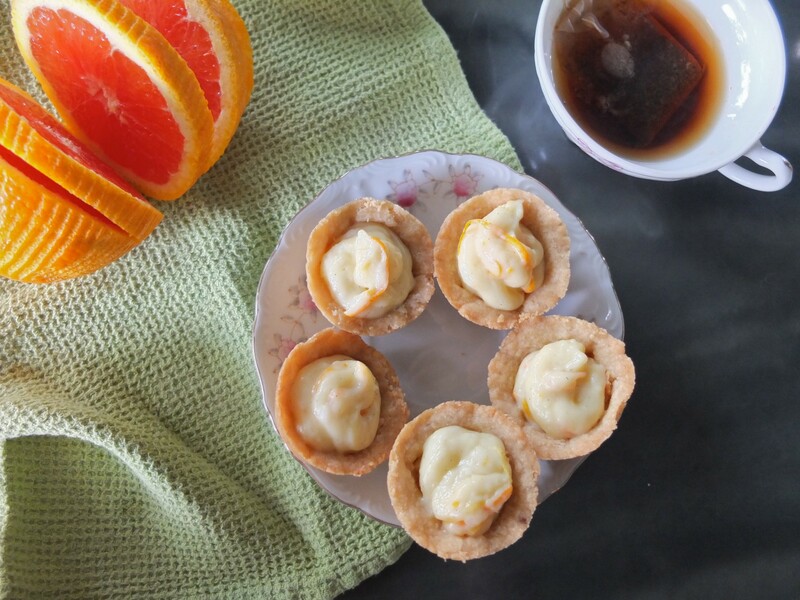 The recipes are making a comeback almost forty years later with these little tartlets! 1. Preheat oven to 375 degrees Fahrenheit and grease a mini muffin pan well with baking spray. Set aside. 2. In a large bowl, whisk together flour, brown sugar, and salt for the crust. Cut cold butter into large pieces (about 1 tbsp each) and add to the bowl. 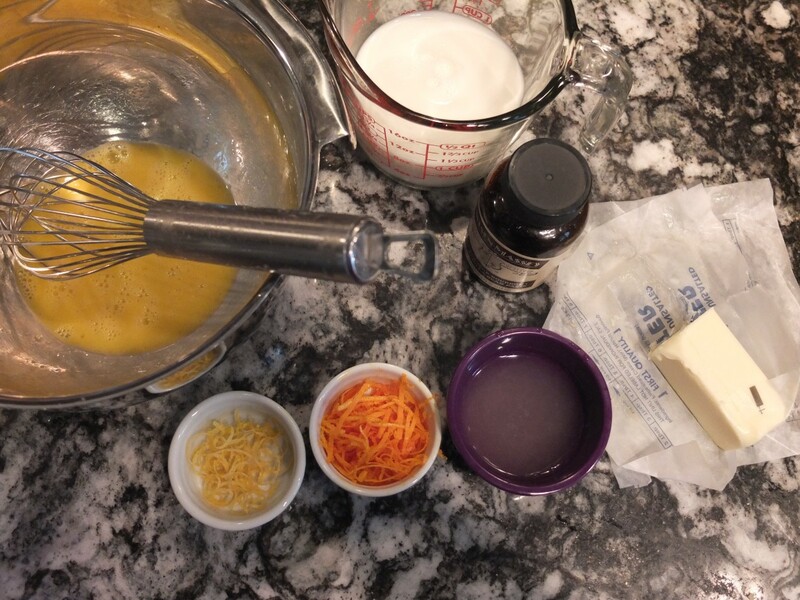 Using a pastry blender (or two knives, or even your hands, or in the bowl of a food processor if you want) blend the butter into the dry ingredients. First make sure none of the pieces of butter are larger than pea-sized. Then continue blending until the mixture is sandy. As the butter warms up, the dough will come together. When you can form it into a ball with your hands, it’s ready! 4. 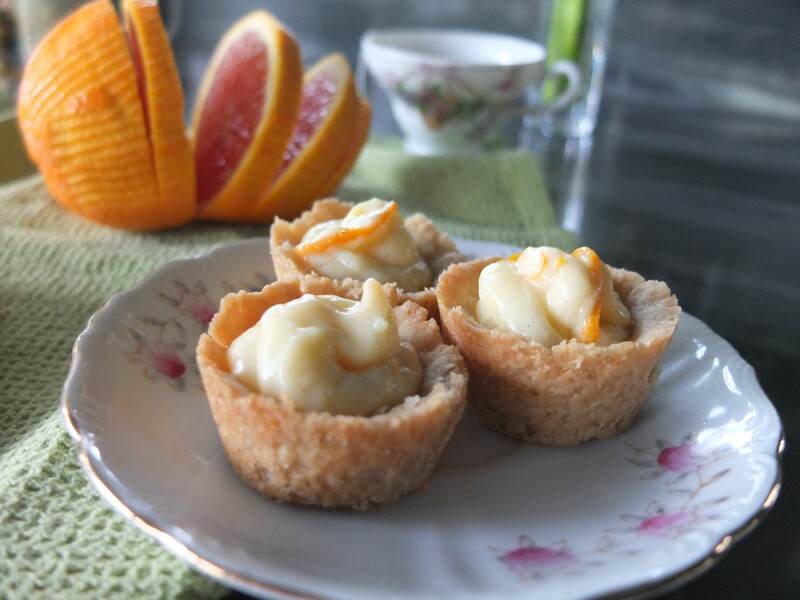 Bake tartlet shells for 7–9 minutes, or until very lightly browned around the edges. 5. Remove shells from the oven and set pan on an oven rack to cool. While the shells cool, prepare the filling. 6. Whisk together the sugar, flour, and salt for the filling in a medium sized saucepan. Have milk and lemon juice measured and ready to add to the pot. 7. In a medium sized bowl, beat the egg well and set aside. 8. Add milk and lemon juice to saucepan with dry ingredients. Cook over medium heat, stirring constantly. Bring mixture to a boil and then continue cooking for 2 minutes, stirring constantly. The mixture will thicken quickly. 9. After 2 minutes, pour hot milk mixture into the bowl with the egg in a thin stream. Whisk constantly. 10. Return mixture with egg to the stove and bring it back to a boil. Cook for 1 more minute. 11. Remove pan from heat and add butter, vanilla, and zest. Transfer filling to a bowl to cool and cover with plasticwrap. 12. Use a knife to loosen the sides of the tart shells from the pan. Transfer to a cooling wrack. Spoon cooled filling into a pastry bag or Ziploc with a corner cut off. Squeeze filling into tart shells, and you’re done! 13. Tartlets store well in sealed container at room temperature or in the fridge. 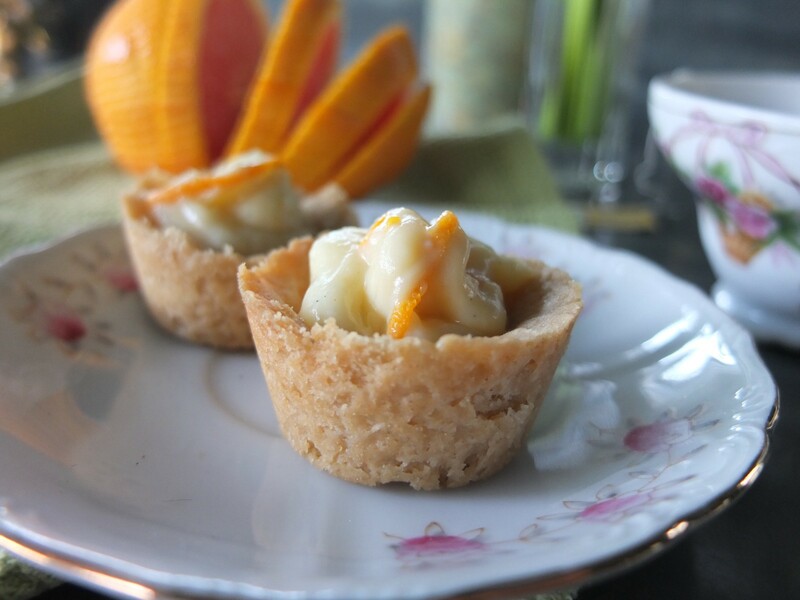 Whether you have them with a cup of tea or for dessert, I hope you get to feel fancy with your tartlets in the Spring sunshine! I know I’ve been daydreaming of picnics and porch chairs. You can follow Baking in Black and White here on Medium, and also on Pinterest and Tumblr. Don’t hesitate to comment, recommend, pin, and reblog! Novice baker, writer, reader, and master eater.